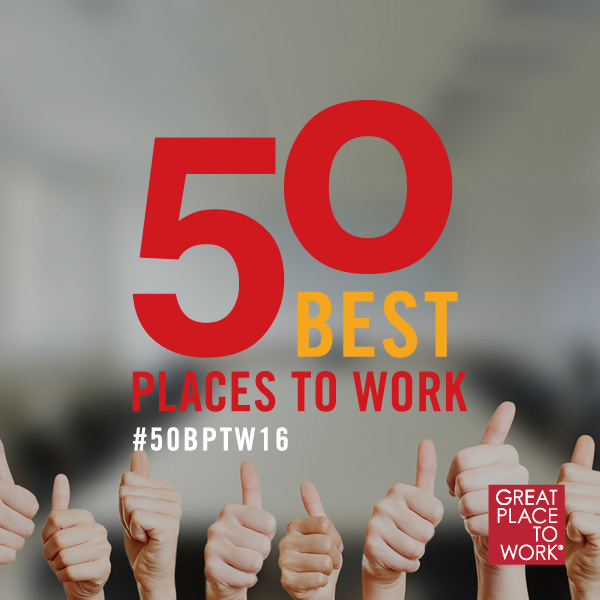 When I find out that Wavelength has been voted a Great Place to Work for the 6th year I am naturally proud. When I discover that we have leapt to number 2 on the list of companies with fewer than 100 employees I am ecstatic - we were 17th last year. Firstly, I have known Anna for 11 years - she joined us fresh out of university. Secondly, she is a straight talker. Finally, Anna is our current Wavie of the Year, which means she represents Wavie culture at its best. Armed with mugs of tea, we immediately start by laughing at the fact that I originally rejected her job application. I mistook her relaxed style for indifference. I should have recognised it as unflappability - she is always ‘cool under pressure’. Oh well, we all make mistakes. Lucky for me, she re-applied within months (persistence) and we took her on as our first ever resourcer. I ask her if she remembers what she thought of her new job at the time. Our trust in her was soon rewarded. Within four months she was covering a senior perm desk, and did so well we offered her a portfolio of her own. She rapidly became one of the company's top billers. Ironically, Anna felt that she was better suited to temp recruitment and so applied when an opportunity came up. It is tough, as a manager, to see a recruiter step away from a winning desk but, of course, she went on to excel in her new role as well. Even tougher was to see her leave the company after a couple of years. Like many young Aussies, Anna was bitten by the travel bug and so came the day that she was off to Europe. Anna loved London and travelled widely through Europe, but her adventures in employment were less happy. “Working at Wavelength had set such a high benchmark” she sighs. Her first job lasted 9 days. “It was a nightmare!”, she tells me, “I had to stand up for an hour every morning making sales calls under the manager's watchful eye.” Her next job was better, but she was unable to replicate the sense of belonging and support that she had enjoyed at Wavelength. 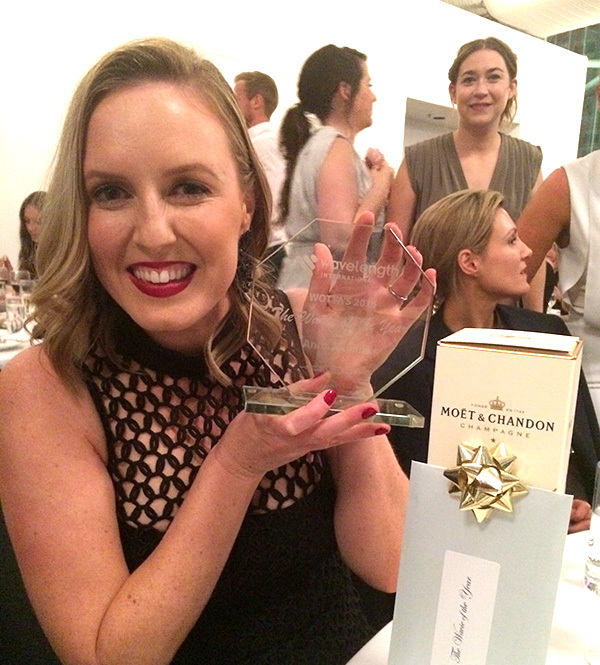 "Working at Wavelength had set such a high benchmark"
After two years she returned to Australia for a stint, and came straight back to us as a temp. “I didn’t even consider looking for a job anywhere else”, she says, “I never really lost touch.” Wavelength has always had a strong alumni network. For a while there was a share-flat in London that acted as a sort of hostel for ex-Wavies in the UK. Her wanderlust still not quite satisfied she returned to London in 2010. She was more careful in her job search and found a boutique recruiter to work with that had a culture closer to that at Wavelength. In 2012 she was ready to return home and, once again, put in a call to see if anything was going on at Wavelength. We were delighted to welcome her back - Anna is not just a good recruiter, she is what we call a Keeper of the Culture and the door is always open… Re-bound employees are a common theme at Wavelength and we take it as a great compliment that people feel comfortable coming back to us. Anna was delighted to be back but wanted a new challenge so we found her a role in our general practice division. General practice is quite different to hospital recruitment, in some ways far more complex, but Anna has developed a real affection for her quirky candidates and clients. “I really love the fact that what I do matters”, she says, “I particularly like placing doctors in underserviced and indigenous communities.” This is a familiar theme amongst Wavies - particularly those that have recruited for other industry sectors. They often express a pride that they are making a contribution - something that they did not feel in other roles. It is great to reminisce with Anna. As we talk it occurs to me that I’ve known her for most of her adult life. Her sister has worked for us (twice) and I feel like I know the rest of her family. I’ve seen her grow, not only as a professional, but also as a human being, and I feel a real sense of pride that Wavelength has contributed to that in some way. To wind up the conversation I ask her to summarise what she thinks makes Wavelength a ‘Great Place to Work’, so to speak. Are you a great recruiter looking for your next career move? Anna, it's been a delight watching you grow and achieve over the years and congratulations on the deserved recognition from your fellow Wavies! 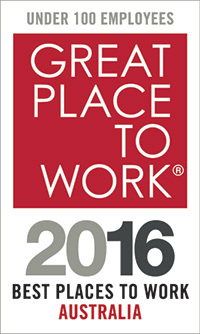 Best place to work, yet again, you guys set the benchmark for other firms, well done!